A missed menstrual period is one of the worst nightmares a girl will ever have. Thousands of thoughts are starting to form in your mind: “Have you forgotten to take the pill?” “Are you pregnant?” “Is there something wrong with your ovaries?” and a lot more of questions. However, there are more reasons behind this circumstance of missed menstrual period and it not only means pregnancy. Be informed about the most common reason of having a delayed/missed menstrual period before buying some kind of pregnancy kit. Stress has a stronger hold on your hormones than you will ever think. It has the ability to affect your hypothalamus, which is part of your brain that is responsible for your monthly period. 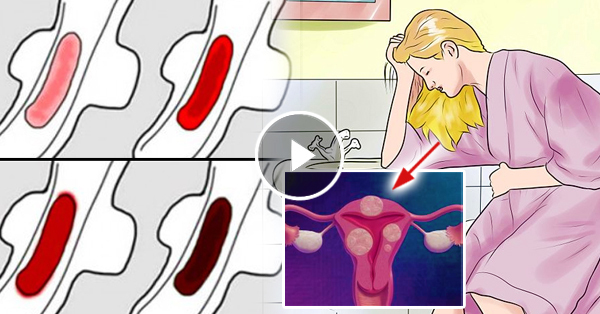 If you have an excessive load of work in the office or going through a big problem, that might be the reason behind your delayed or missed menstrual period. The levels of your hormones are affected if your thyroid glands do not work correctly. The overactive, also called as hyperthyroidism or the underactive, also known as hypothyroidism can have a great impact on your menstrual cycle. Unexpected gain or loss of weight in a significant quantity can lead to misbalance in hormones that will eventually affect its ability to ovulate. This, in turn, can result to missed or delayed menstrual periods. When you do not take your contraceptive pill regularly, will take some time to regulate your periods accordingly. Contraceptive implant or injections may lead to delayed or missed menstrual periods. Since there are numerous medicines that come with hormones these days, a sudden change in medicines may lead to an imbalance in the hormones in your body for some time. This circumstance may result to delayed or missed menstrual periods. If you have been sick at the time of your ovulation, chances of not having your monthly period might happen. As a result, there might be a delay on your menstrual periods. PCOS is known as a hormonal imbalance, which affects the estrogen, progesterone, as well as the testosterone levels. Other effects that PCOS have include excessive growth of hair on both of the face and chest, potential fertility issues, and even difficulty in losing weight. Due to hormonal imbalance, there will be no ovulation, and as a result, no periods. If you are new to gym or have taken severe exercises as a daily habit, there will be a chance of having delayed or missed menstrual periods.